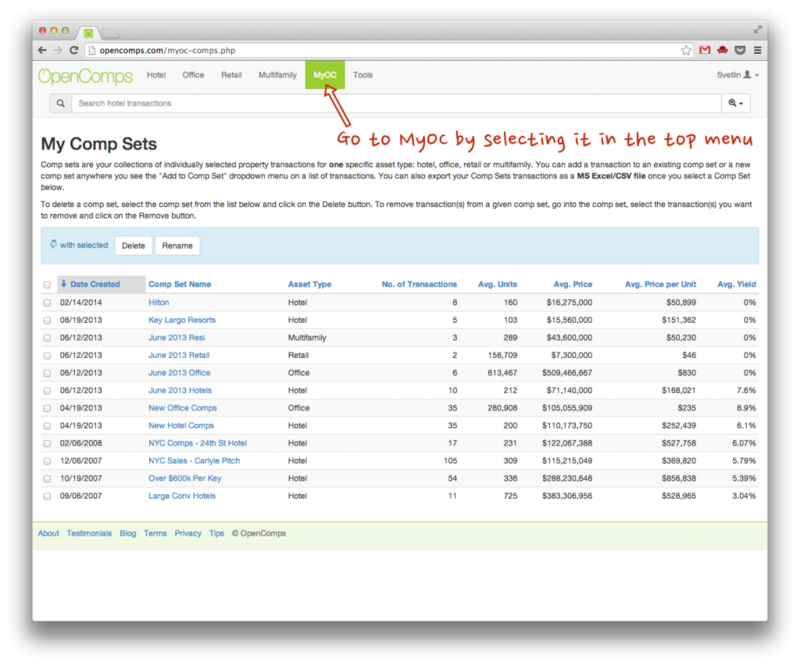 Since we are done with the wrap up for 2013 (here and here), we want to start charting the future of OpenComps for 2014. We have a few ideas on where we want to take our service next. We really hope you’ll like them and continue to follow us on this journey. We are always open to new ideas, so don’t be shy to get in touch. As we mentioned in our introduction of the Tools section, we have always been about more than just following completed transactions. We really want to be the technological platform for cracking the institutional real estate marketplace open, transparent and functioning fluidly. So, in addition to helping people assess a market by searching for comps, we also want to help them with finding out what’s For Sale or who is Seeking Debt or Seeking Equity. 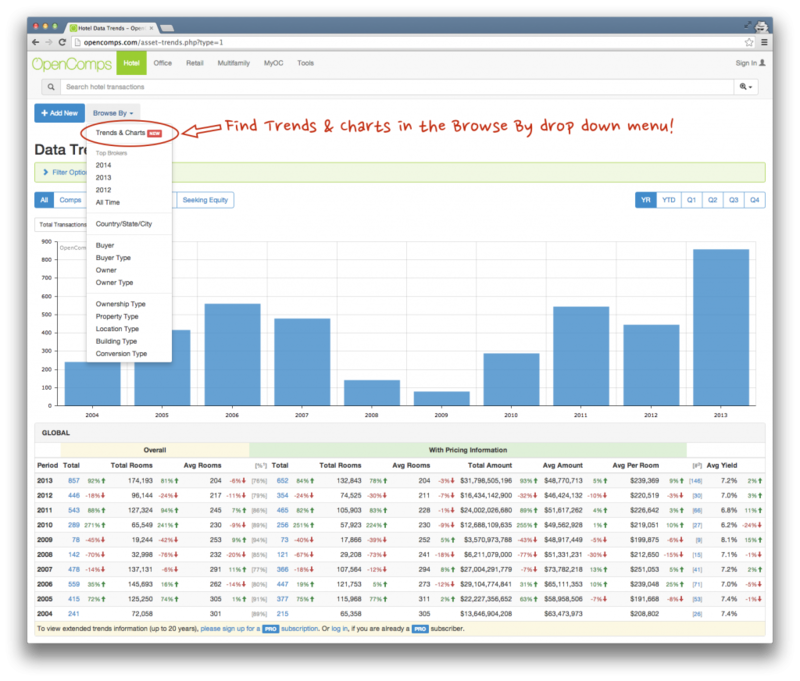 All in our trademark no-fuss OpenComps style – blazing fast search, intuitive controls, “nothing but the meat,” instant statistics and customized data sets. Today, we would like to officially introduce our new service: Listings. OpenComps PRO subscribers can post unlimited For Sale, Seeking Debt or Seeking Equity listings on OpenComps, while registered OpenComps users – for free – can view and search them. Just hit the “+ Add New” button and select your listing type. This entry was posted in General, Updates and tagged hotel, listings, office, residential, retail on February 12, 2014 by Svetlin. Continuing with the 2013 wrap up, let’s take a look at the year’s most active sell-side brokerage firms. As we pointed out in our year-end review, last year was a super active year. That means there were plenty of happy faces at the nation’s top brokerage firms. This entry was posted in General and tagged 2013, hotel, office, residential, retail, statistics, top brokers on February 10, 2014 by Svetlin. When we set about to write the 2013 review and compile the data – as any good writer – we reviewed our 2012 post. And we realized we were probably going to finish our 2013 piece with the same wish: “to bring our subscribers a more visual and immediate way to better understand the trends that are occurring in OpenComps’ dataset.” And we didn’t want to make the same promise twice. So we stopped writing reviews and started writing code! Today – together with our 2013 review – we are proud to announce the new Trends & Charts section (see here for hotel, office, retail or multifamily). Currently, you can find it in our Browse By section (dropdown) together with the other data aggregation screens. And we are making it open for every one, reserving for our PRO Subscribers the advanced features such as filtering, longer time period (20 years) and advanced chart tools such as data zoom and save to PNG. This charting tool combined with its extensive search filter can produce really outstanding data insights. We hope you will consider unlocking it’s full potential with a PRO subscription. And now onto our 2013 review. The chart that follows gives you a quick overview. This entry was posted in General and tagged 2013, hotel, office, residential, retail, review, stati on February 7, 2014 by Svetlin.